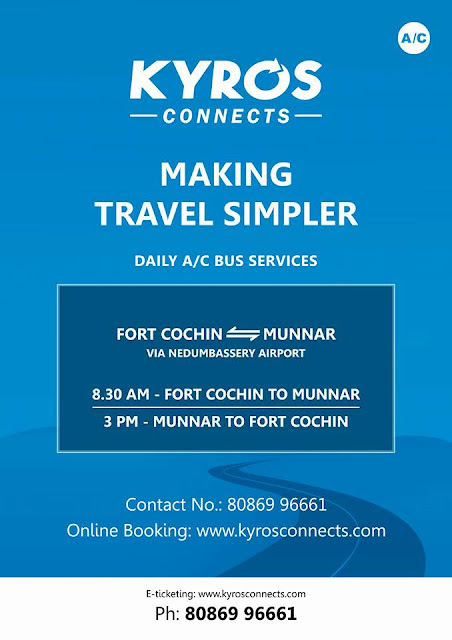 Kondody Motors announce the first schedule of KYROS CONNECTS (Daily AC bus Service) on 10 January 2017 from FORT COCHIN to MUNNAR (via Nedumbassery /Kochi Airport). For the tourist who reach Cochin airport in the morning time can use this new service for their journey from Cochin Airport to Munnar by Bus. 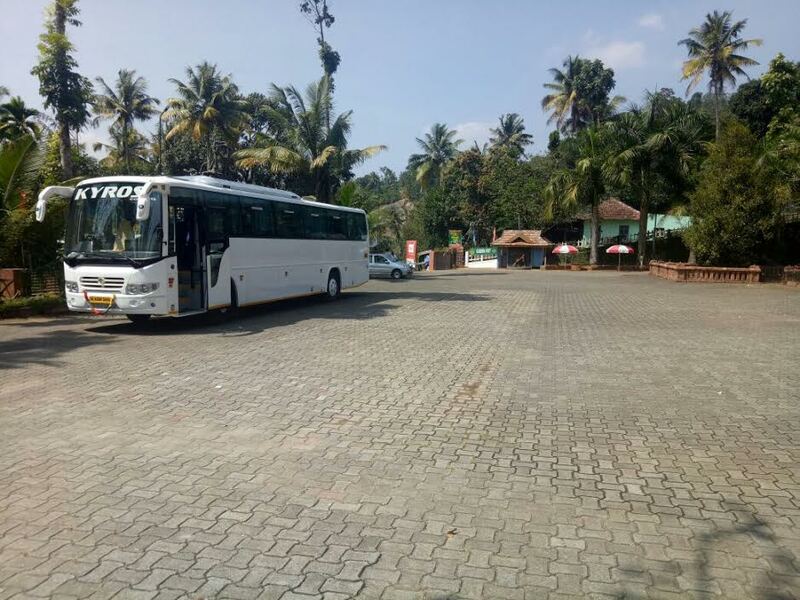 Can we opt for a one way trip and a return trip separately? Definitly you can book one way (Return is optional) and later on the same website you can book your return separately for your preffered date as per the availability. 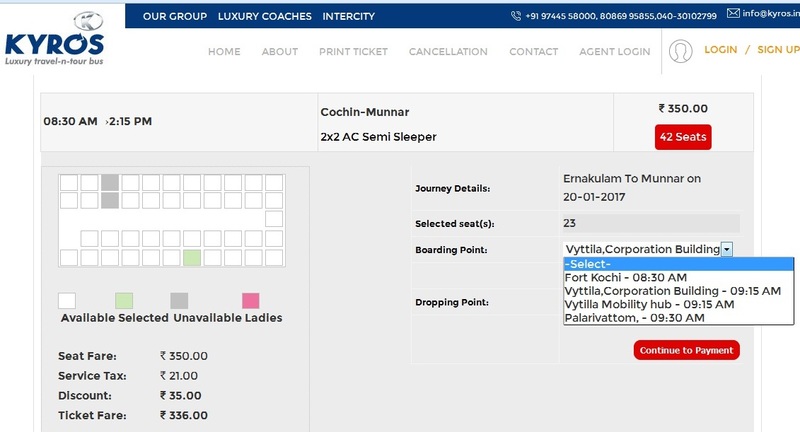 You need to select the starting point as " Munnar " and drop point as Vyttila Mobility Hub (Main Bus Station in Cochin/Ernakulam) or what aver applicable.. 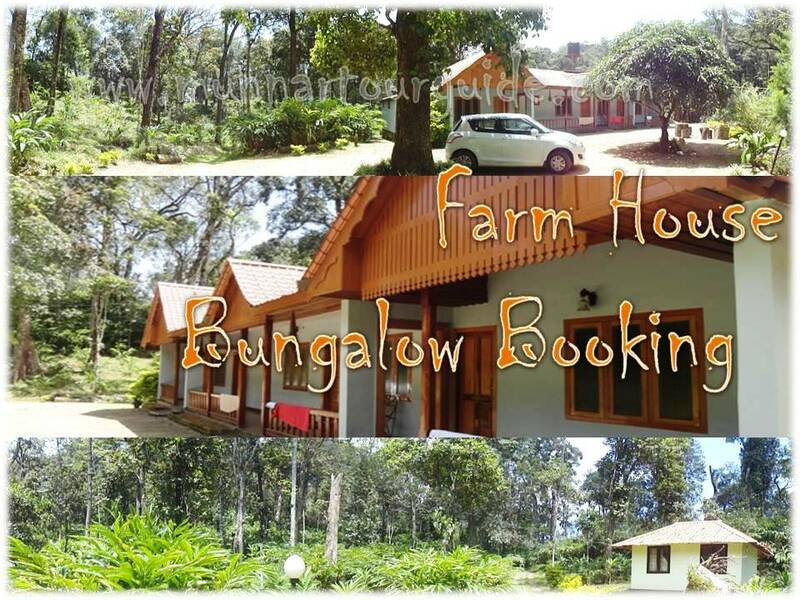 I'm having difficulties with the online booking. Is it possible to pay when boarding the bus, like a local bus? 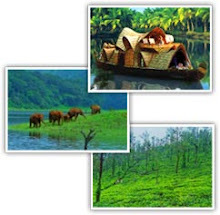 I want to book tickets from kochi to munnar in march. I want to leave kochi after 2PM. 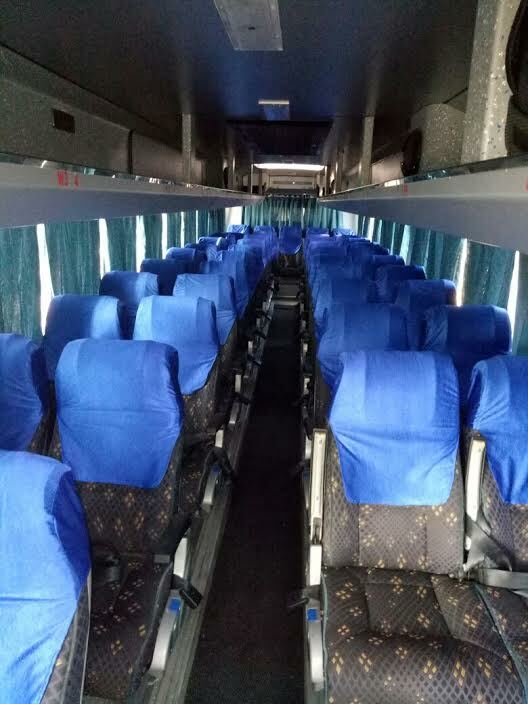 is there any bus available?